That’s exactly what Dan Woods & Andrew Carp of Leek Parish are doing to support the doctors and nurses of Médecins Sans Frontières (MSF) – Doctors Without Borders – in their fight against Ebola. 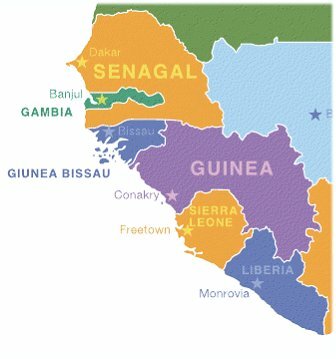 On Monday 24th November, Dan & Andrew set off on their 500 mile Virtual Cycle Tour, that will see them “exercise biking” through Guinea, Sierra Leone & Liberia. Dan & Andrew need your support! This is a great opportunity for all of us to do our bit to help our African brothers and sisters. Sponsorship amounts can be taken into any of our churches and church offices or you can donate on-line at their Just Giving page. Keep up to date on Dan & Andrew’s progress through their Just Giving page, or following their Virtual Cycle Tour on Facebook. For further information or to pledge a donation, you can also call Andrew himself on: 07973 624330. Dan & Andrew would like to thank Future Fitness in Leek and Pure Gym in Fenton for their support.